Shade structures provide protection against wind and solar radiation. They are a useful tool for modifying the environment and extending the growing season, both in cold and warm weather. Shade houses can provide frost protection for perennials and herbs during winter. Temperatures inside can be as much as 20°F higher than outdoors. Shade houses can also be used to harden off bedding plants before they are shipped to retailers. Protection of outdoor-grown foliage plants that require lower light levels is also possible with shade structures in some climates. In nursery operations, shade houses can provide temperature and weather protection year-round. They can also reduce irrigation needs during summer. In some areas, the reductions of animal damage helps to pay for the structures. In garden centers, shade structures are frequently used to provide protection. 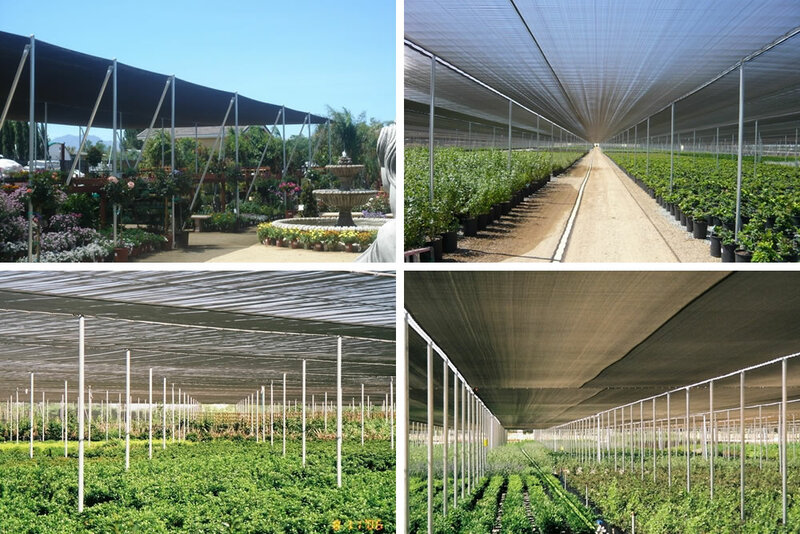 Besides providing a covered sales area during inclement weather, they protect the plants from wind, rain and sun. Incoming solar energy is converted to heat energy when it strikes plant leaves. This can result in excessive air, leaf and soil temperatures. Placing plants under 30-50 percent shade in midsummer can lower the leaf temperature by 10°F or more. This reduction in temperature, along with a lowering of wind speeds, can significantly lower transpiration water loss during the growing season. Not all plants require full sunlight to grow. Most plants can only use a limited amount of light (called the light saturation level). African violets lose chlorophyll at a light intensity of 1,500 footcandles. Foliage plants may be burned at a light level over 2,000 footcandles. Chrysanthemums and geraniums can tolerate about 4,000 footcandles. Rose and carnation plants can grow under full summer light intensity of up to 10,000 footcandles. The application of shading is really an art as the level that reaches the top of the plants is reduced significantly by the time it reaches the bottom leaves. The original shade houses were called lath houses. They were frame structures covered with wood lath most were made with poles set into the ground with 2-inch framing lumber nailed to the poles to support the lath. Fifty-percent shade was created by leaving a space equal to the width of a lath between adjacent laths. 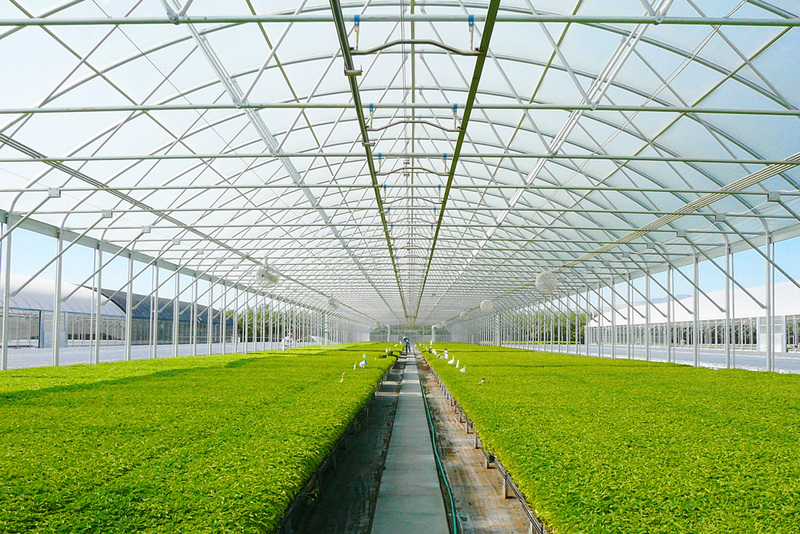 When polypropylene was introduced to the greenhouse industry shade houses took on a new appearance. Wire or cable was adequate to support this lightweight material. Today, most shade structures are covered with either polypropylene, polyethylene, polyester or a composite fabric that usually contains aluminized polyester strips. 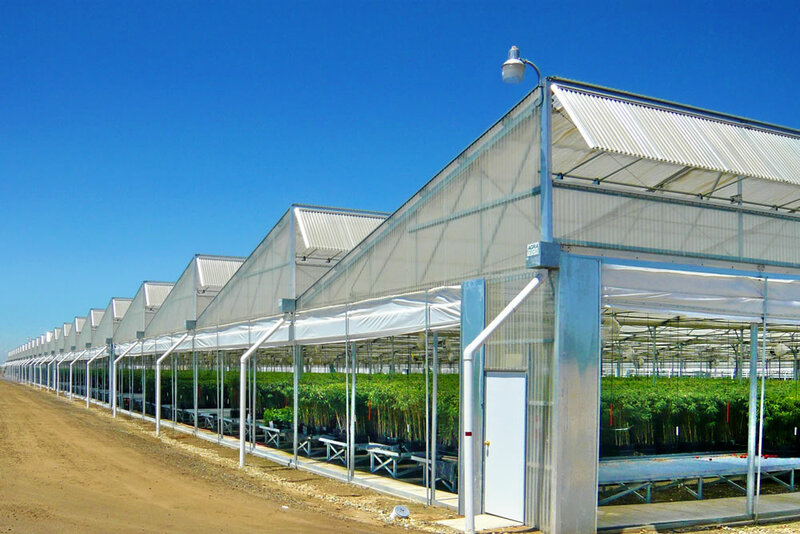 Most greenhouse manufacturers offer some type of shade house. These structures can be either a fixed-roof or retractable-roof design. Fixed-roof designs are either rigid frame or cable frame. The cable-frame shade house probably evolved from the shade tobacco industry. 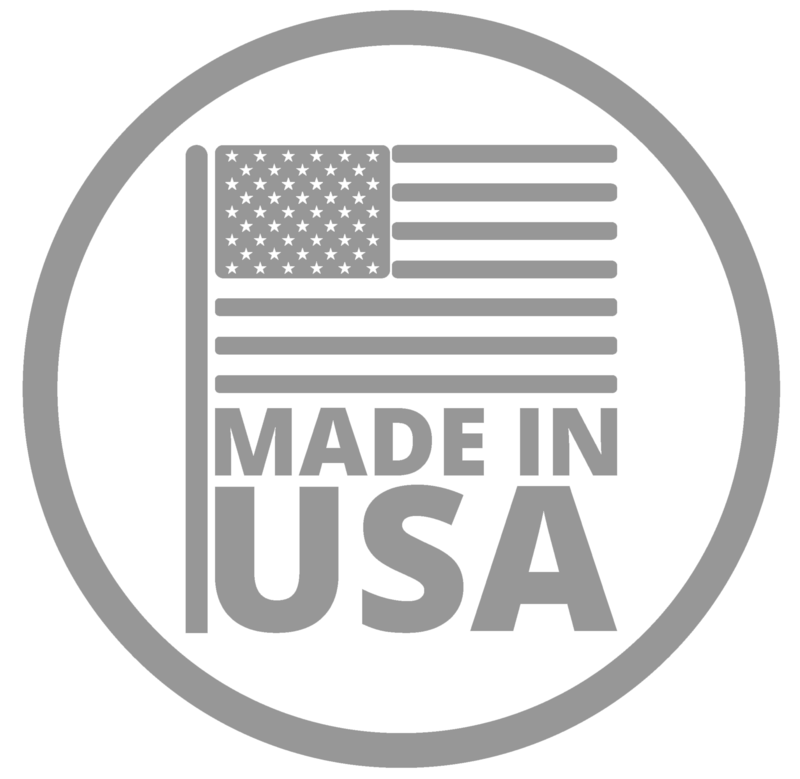 Several thousand acres are covered annually inConnecticutand other states to modify the environment to produce tender tobacco leaves for the wrapper of the best quality cigars. Posts surrounded by concrete are set into the ground on approximate 20-by-20 foot spacing. Height can be 8-16 feet. Deadmen (buried supports) located around the perimeter provide bracing for the tension in the wire. Stainless steel cable with adjustable turnbuckles are strung between the posts to support shade material. In tobacco shade houses, the edge of the material is sewn around the wires with a strong thread. In nursery shade houses, clips or hooks are used to fasten the material. Shade material hung on the side walls around the perimeter is attached to the upper wire and usually buried in the soil. It provides wind protection to the plants. Due to the variables in construction, cable shade houses usually do not carry a design wind or snow load. In rigid-frame shade houses, the cable is replaced by pipe or roll-formed truss members. The trusses support the shade cloth. Instead of deadmen, diagonal Kneebraces, both horizontal and vertical, create the rigid frame. Post spacing is less than the width of the cable system, usually 10-18 feet. Shade material can be attached with tek screws or clips. Retractable-roof shade houses are available from several manufacturers. They can have either cable or truss supports and usually carry a design wind load. As solar radiation varies considerably over the day and from season to season, the main advantage of the retractable-roof design is the ability to regulate the amount of sunlight that reaches the plants. Plant growth increases because ventilation can be controlled to lower temperature. Ventilation can also reduce disease incidence. Reducing the intensity of the sunlight can lower irrigation requirements, as both the plants and the soil are cooler. Both cable and truss-style retractable-roof designs use standard energy blanket technology for opening and closing the shade material. One gear motor can handle up to 50,000 square feet of growing area. The shade material is usually stored at the post line. For areas that receive considerable snowfall, the shade material is stored under a protective hood so that it doesn’t get covered with snow. Most retractable shade houses are available with roll-up sidewalls. These use a conventional roll-up mechanism and small gear motors. This provides ventilation on demand and also accessibility for plant handling. In areas where protection of the plants from snowfall is important, an A-roof design is available. The A-roof can be covered with an impervious material that sheds the snow and rain to a gutter for removal. Supplemental heat can also be added. For a grower using a conventional 14-foot-wide over wintering hoop house covered with white polyethylene for protection of perennials, herbs and nursery stock, a retractable-roof structure can provide better temperature control. It can also reduce plant handling costs as the larger area under one roof and the vertical sides allow mechanized handling equipment. Improved technology and design of shade houses can provide growers with a low-cost option. They are a useful growing tool instead of more greenhouse space.